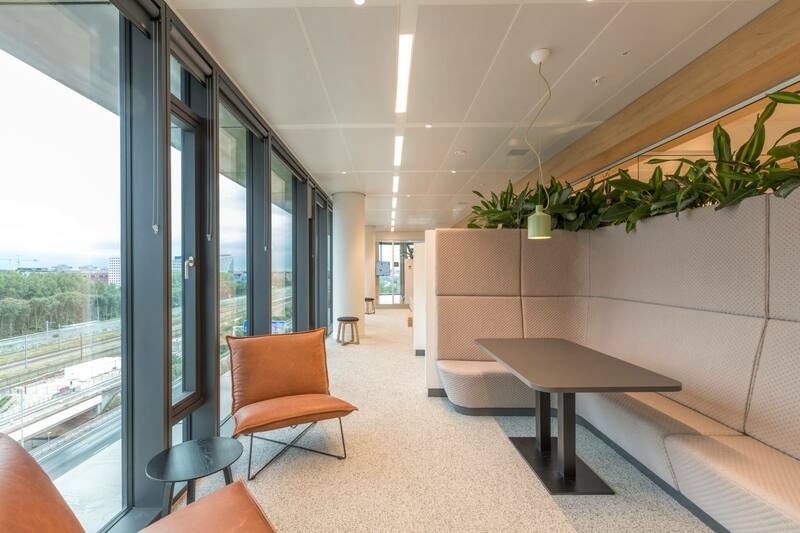 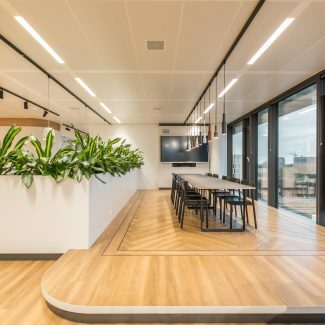 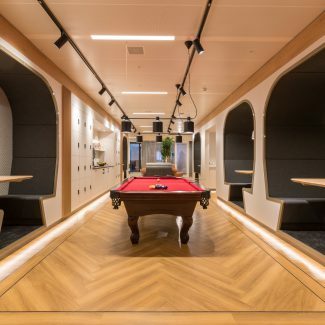 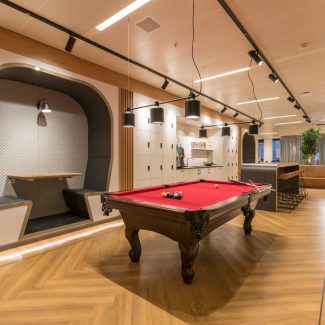 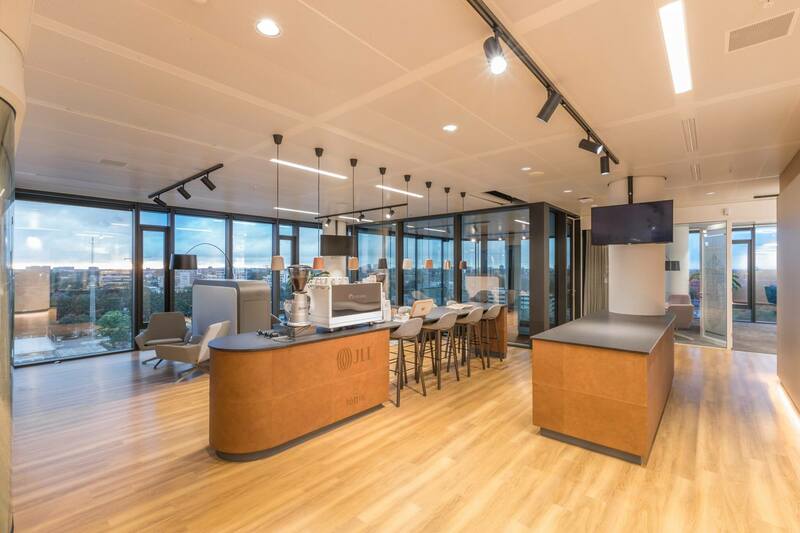 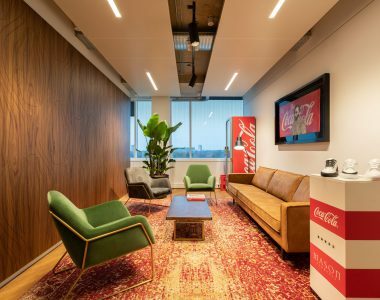 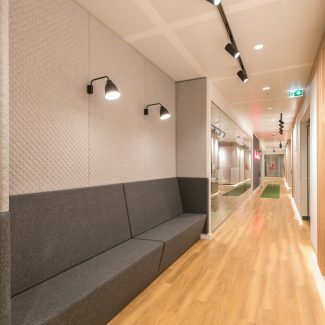 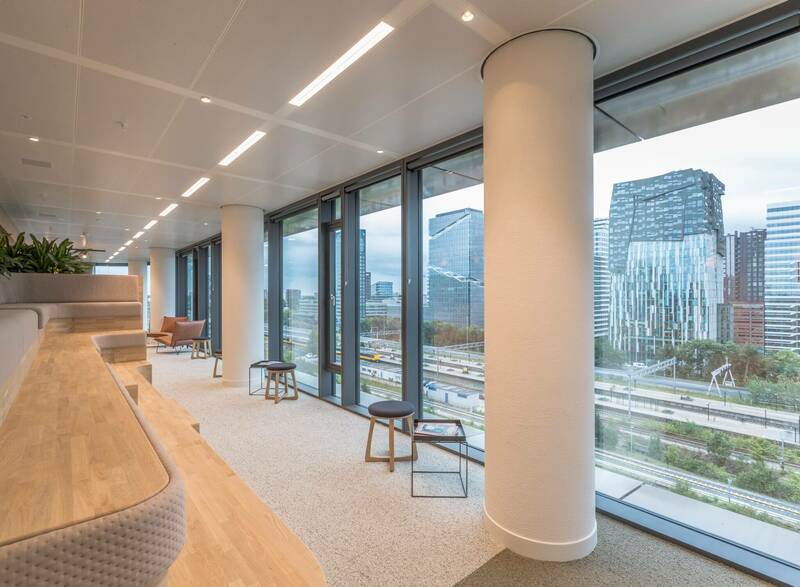 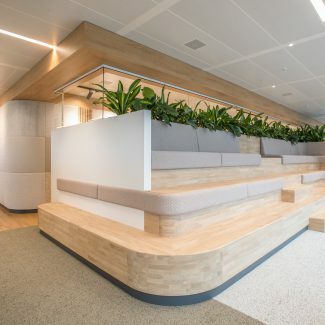 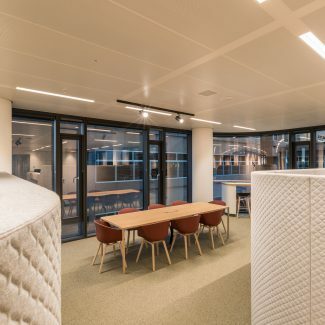 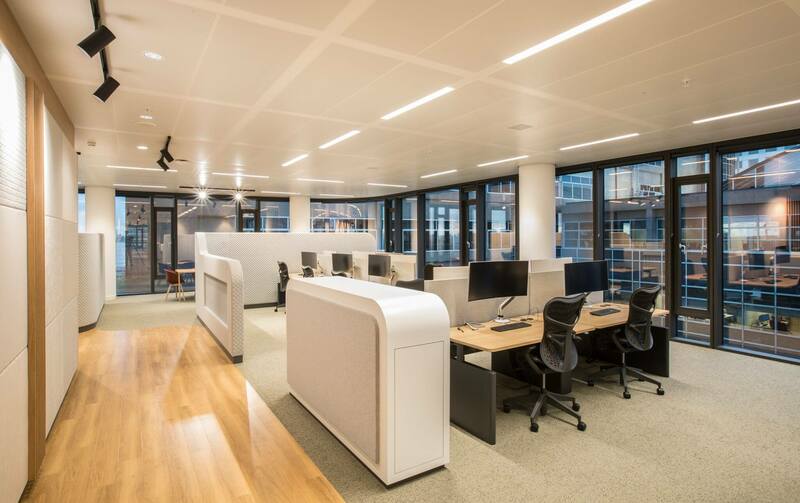 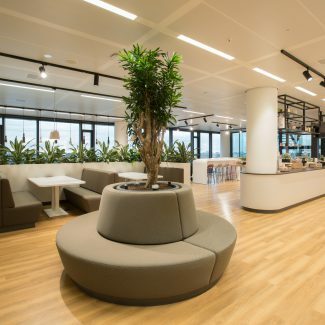 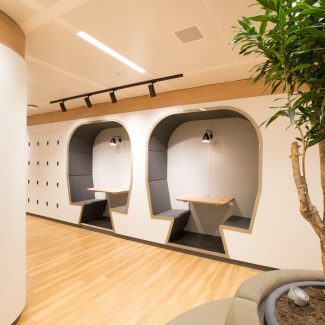 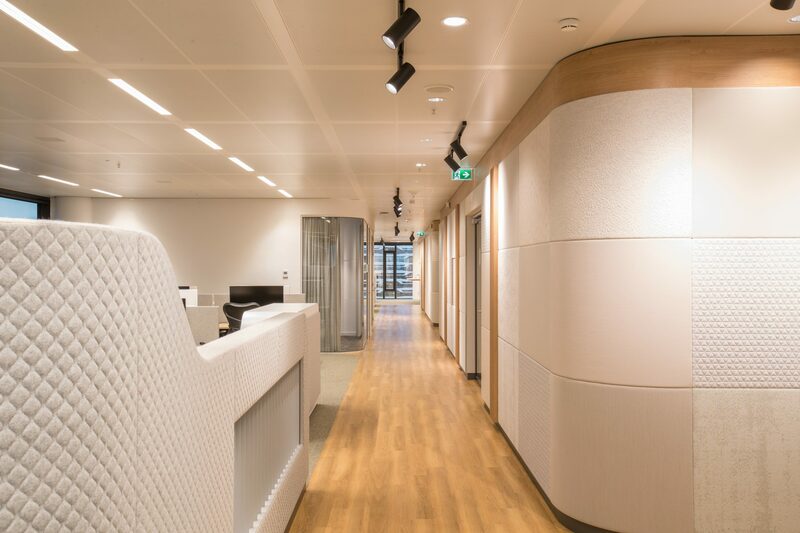 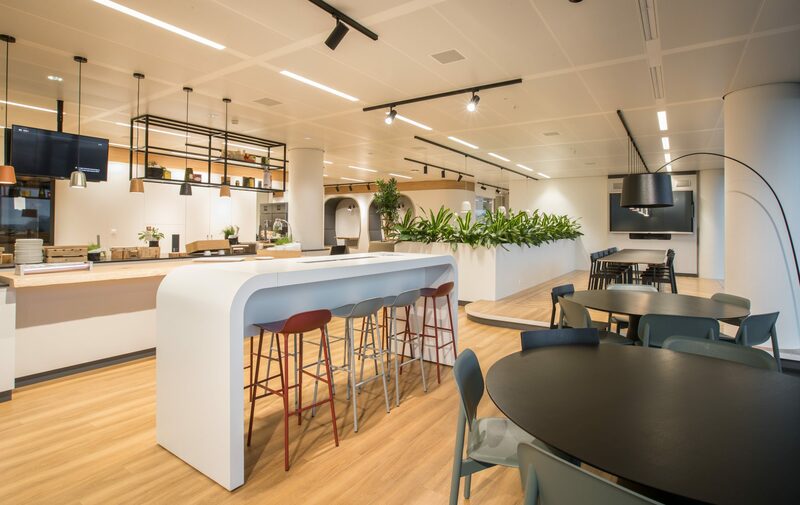 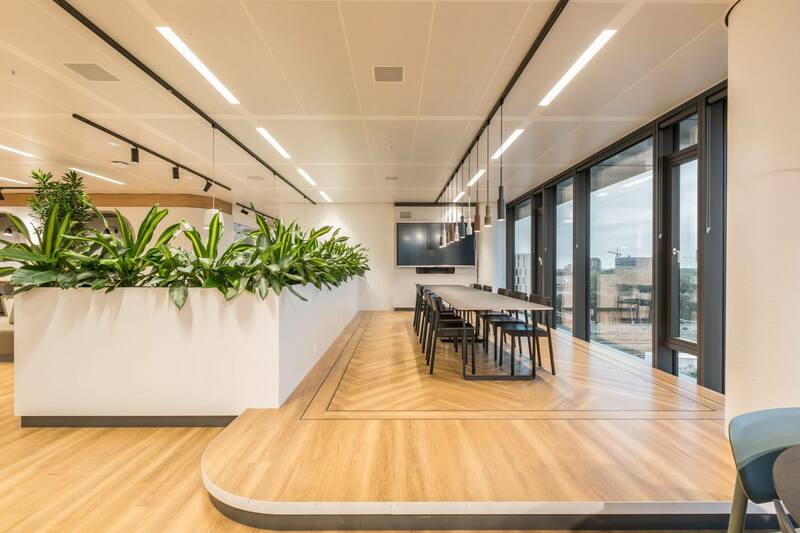 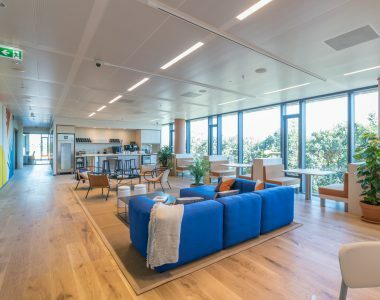 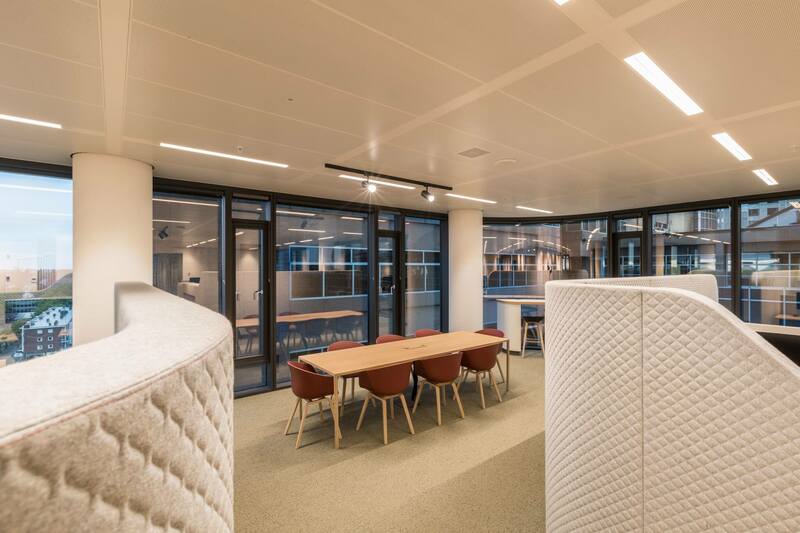 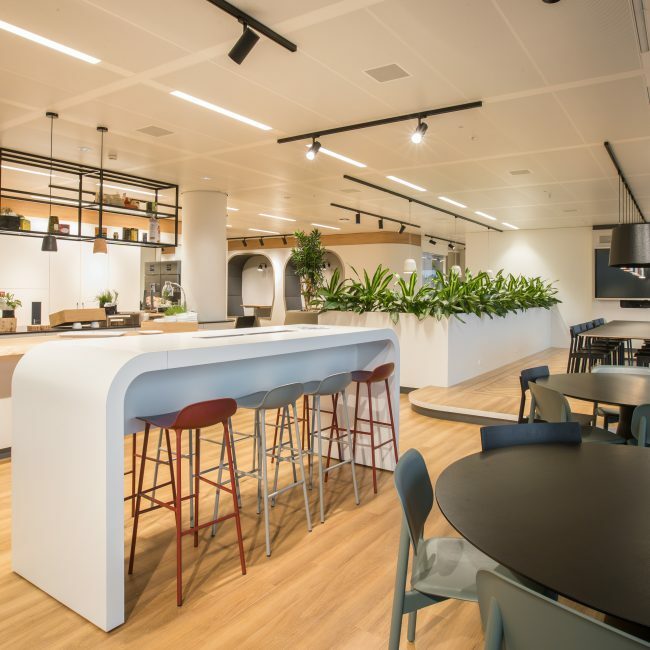 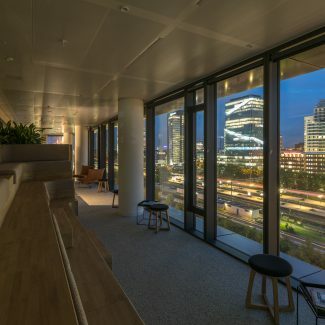 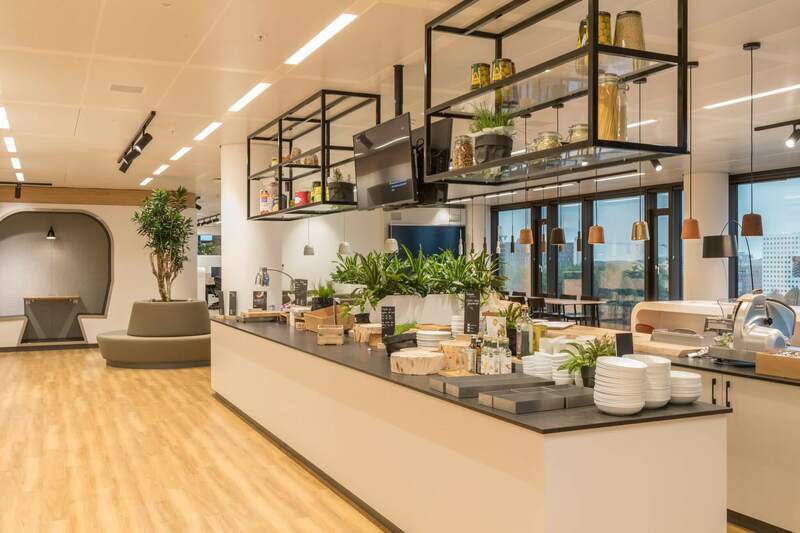 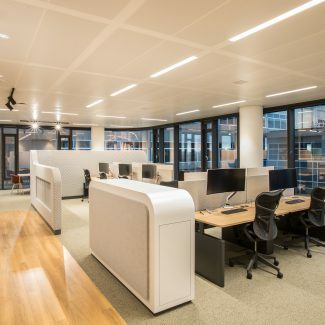 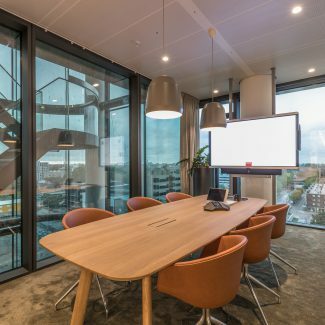 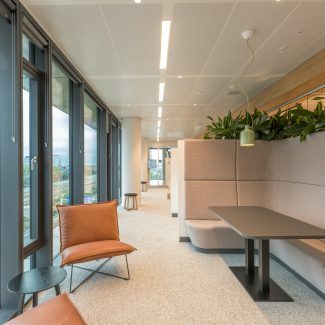 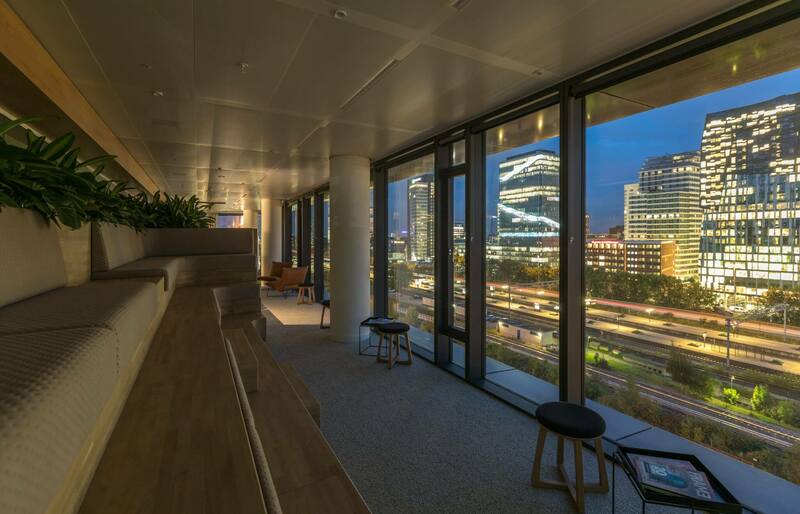 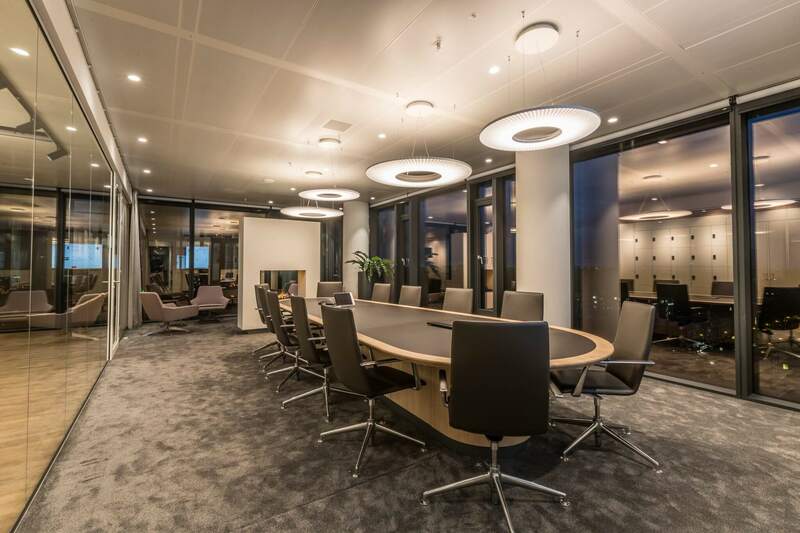 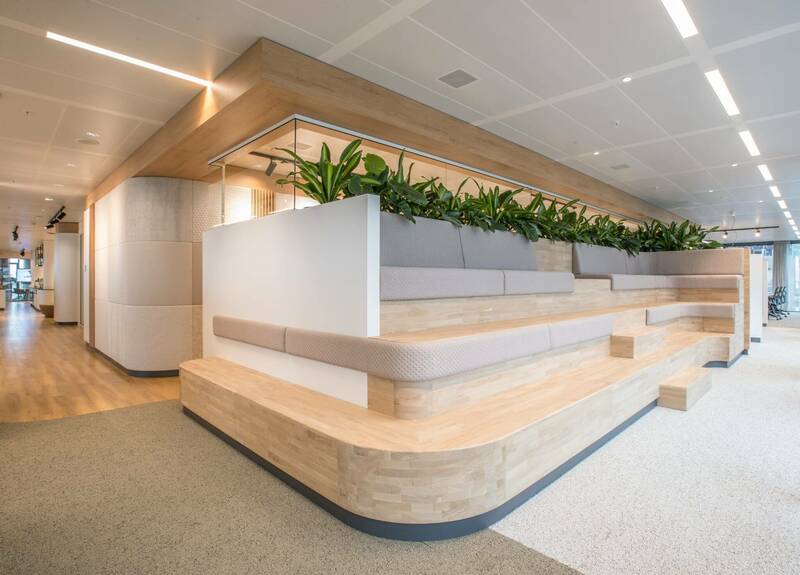 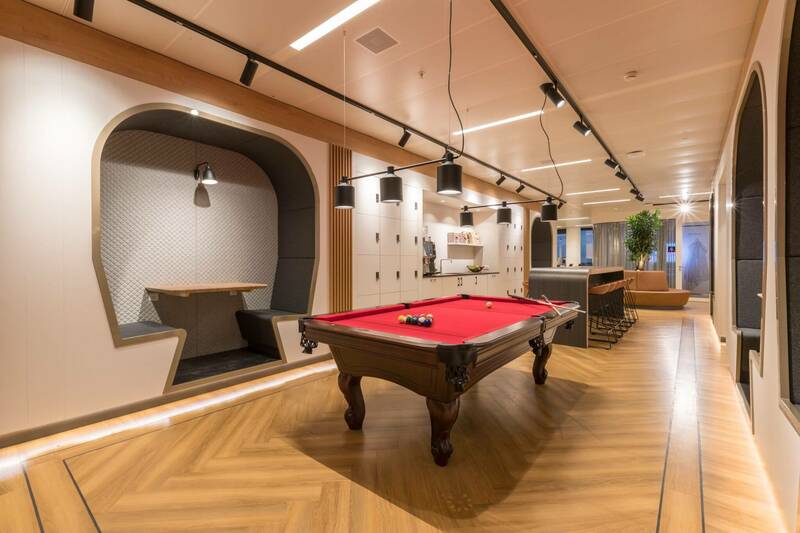 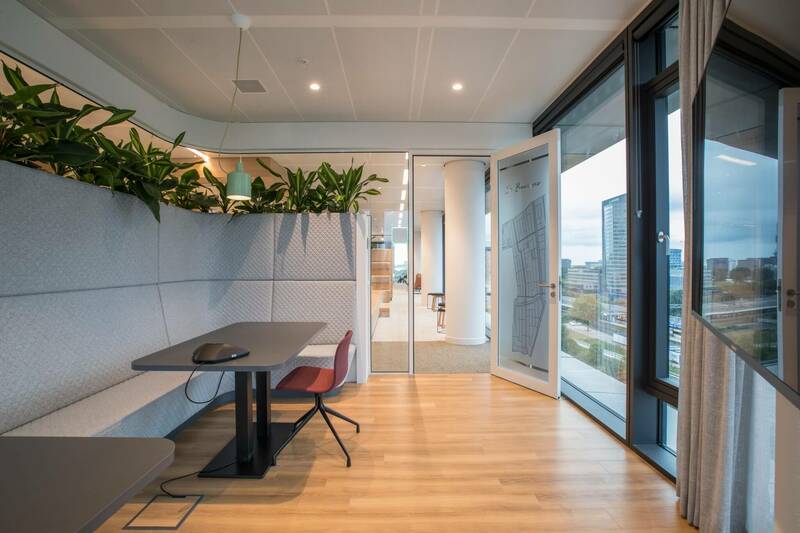 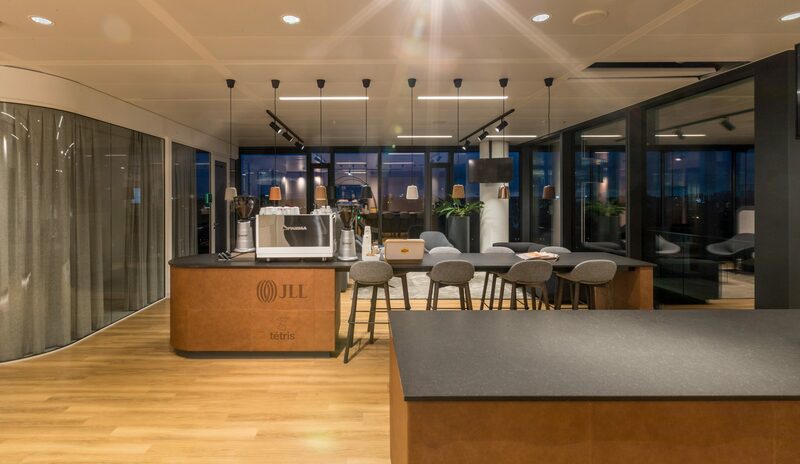 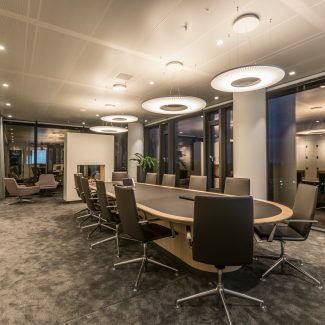 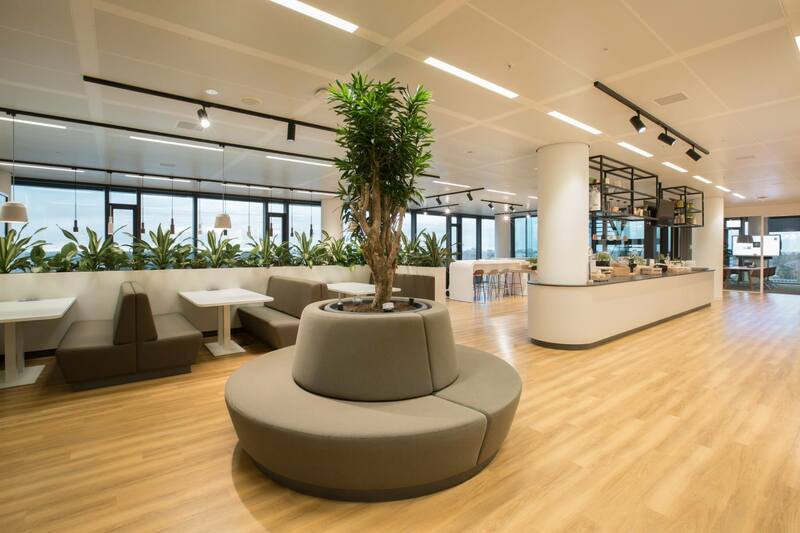 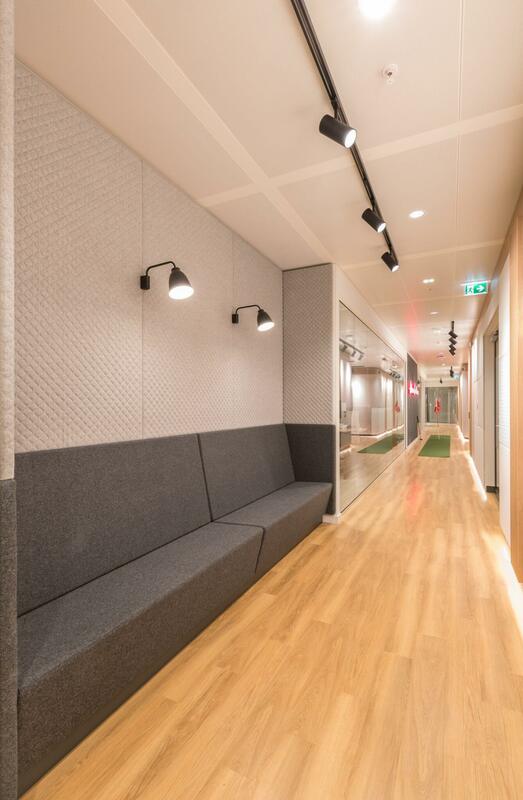 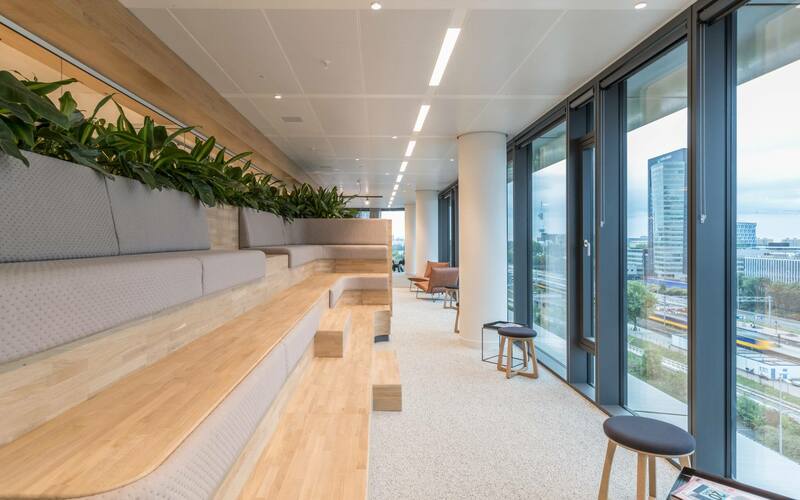 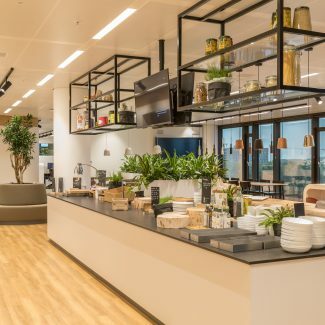 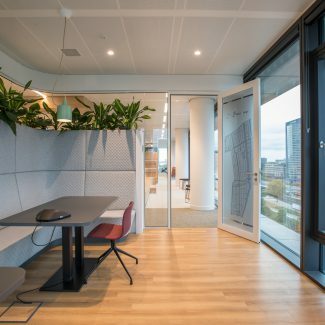 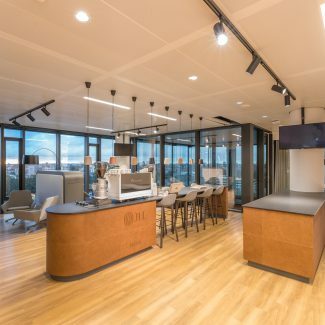 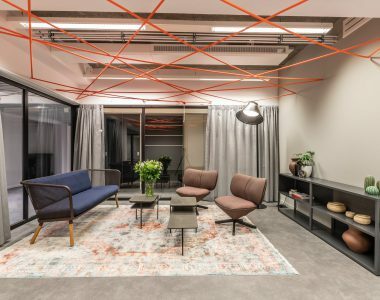 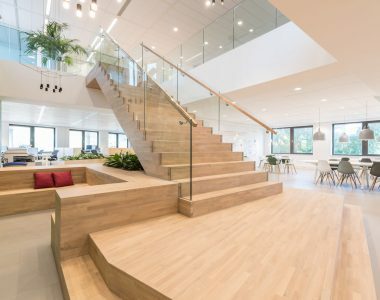 For the design of the new headquarters of JLL and Tétris in Amsterdam, the main purpose was to create a workplace that the employees miss when they are at home. 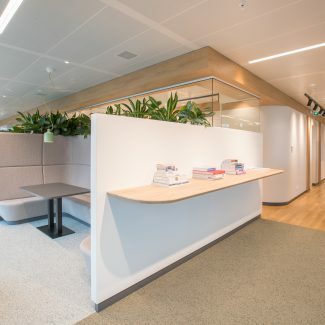 The office has a warm and open look and feel with enough space for a casual conversation with colleagues or to retreat. 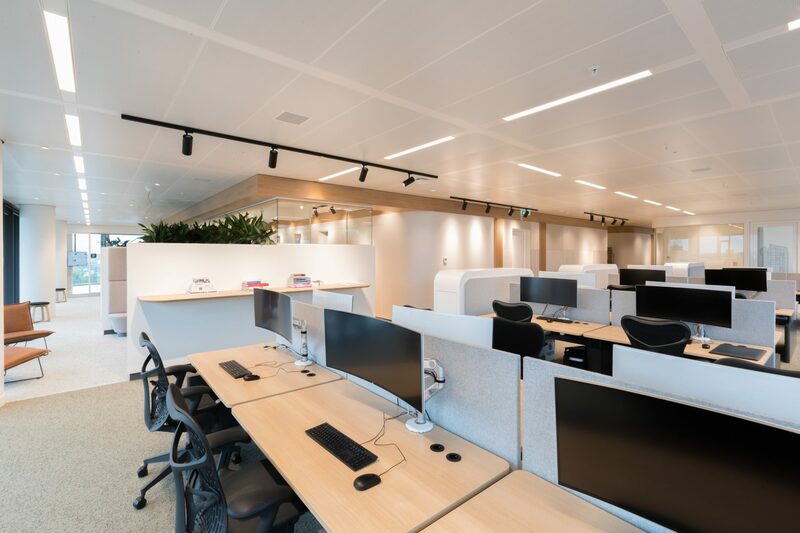 Every day, JLL and Tétris are in the process of finding, designing and building offices for our clients so that their office fully facilitates in the fulfillment of their goals and ambitions. 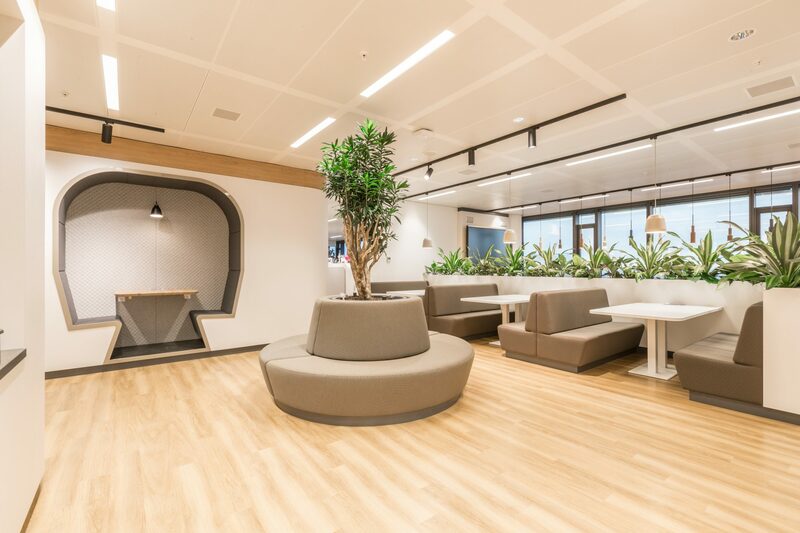 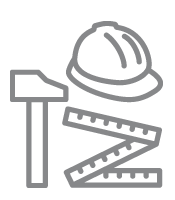 With this project, we have used all our expertise to create a workplace that facilitates in all the needs of the different departments. 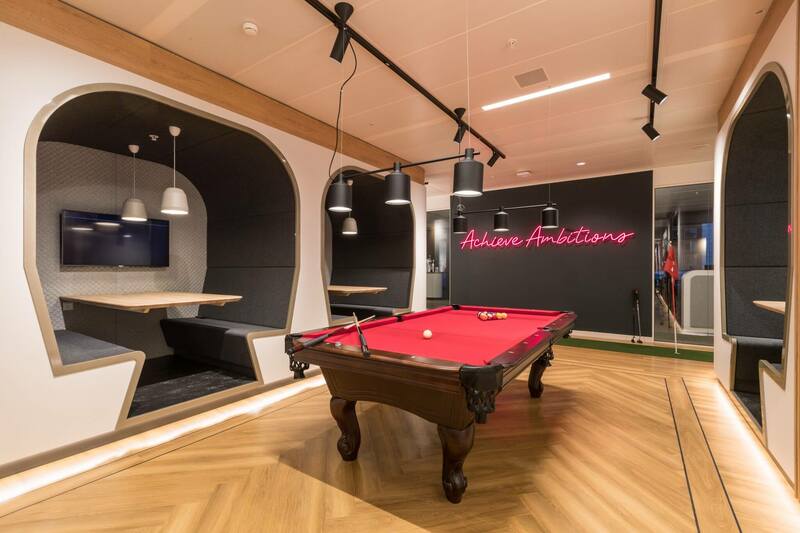 In our new office we can let all our ambitions and dreams come true! 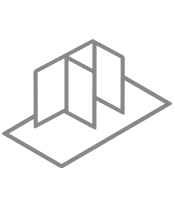 The design is based on the concept of ‘the city within’. 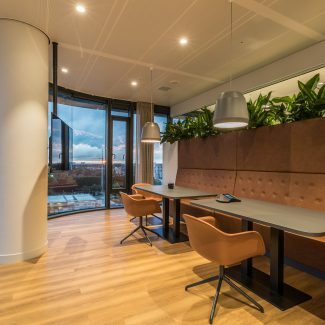 Like in a city, the office consists of several neighborhoods and places for various activities. 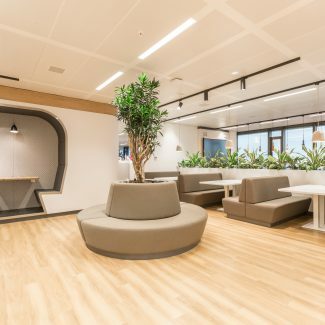 Areas in a city such as the business district, food district or just a park for some relaxation, have been translated into our office design. 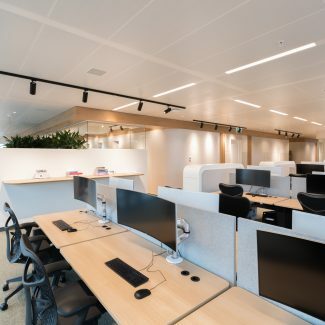 The layout of the office is shaped so that the departments have their own ‘neighborhood’, but at the same time everybody feels free to work elsewhere in the office. 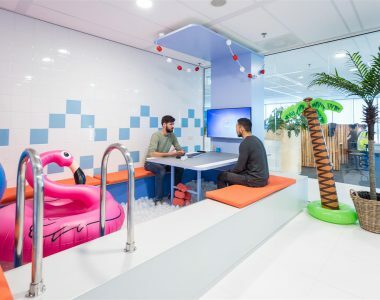 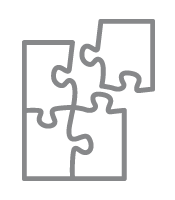 Throughout the office different areas have been created where employees can retreat or just come together with the entire team. 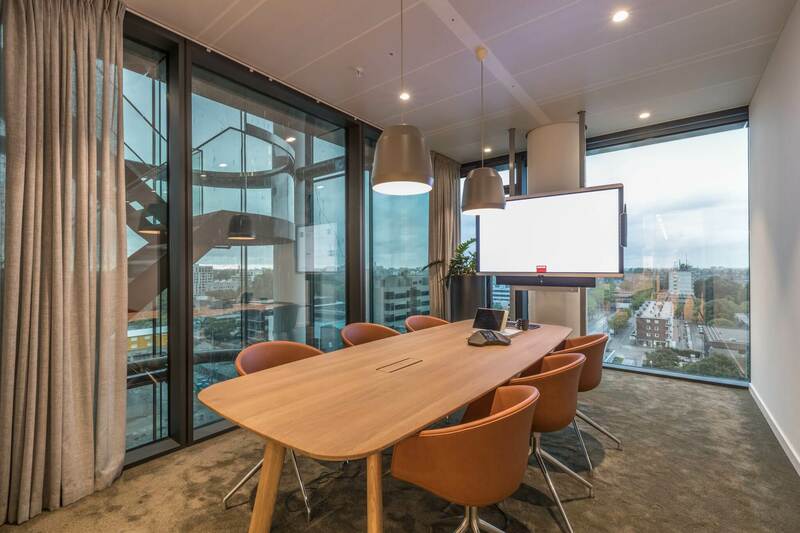 For example, team meetings can take place on the stage where you have great view over the South Ax. 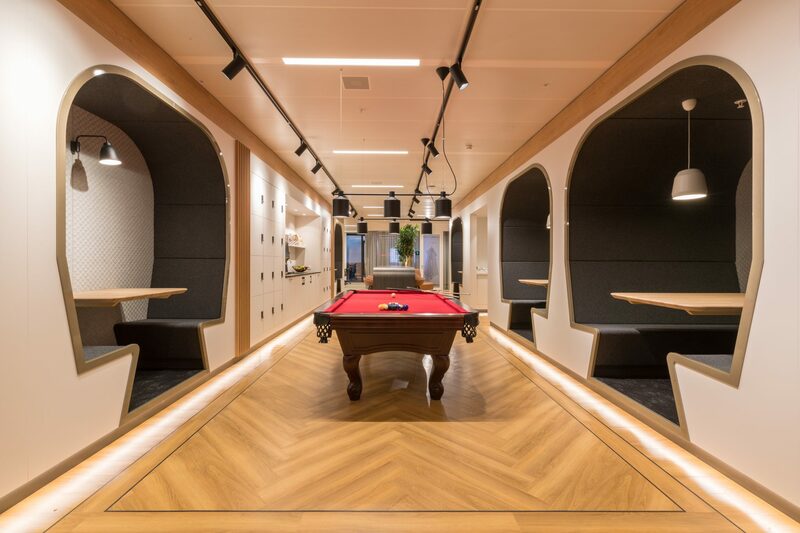 In addition the office has a scrum room, meditation/game room, pool table, restaurant, various concentration booths and meeting rooms. 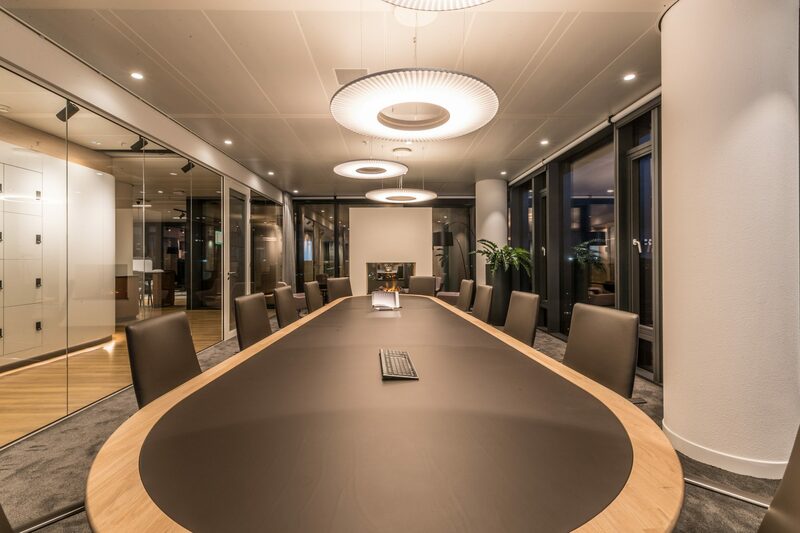 The boardroom has a fireplace and a casual seating area. 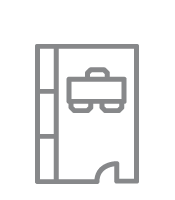 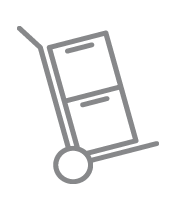 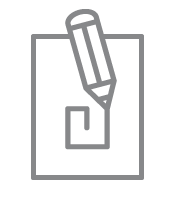 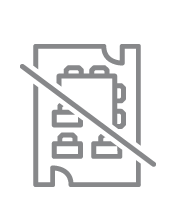 In addition, the office has the latest IT gadgets for the best work experience every day. 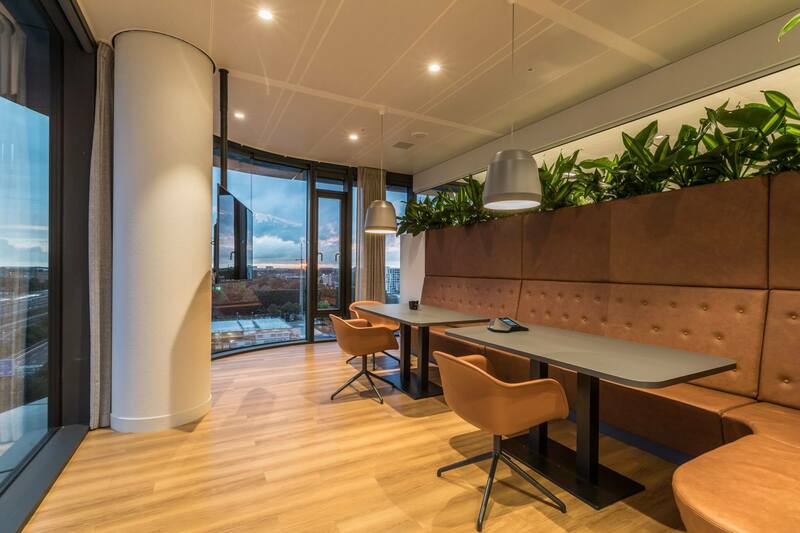 Within the design we paid special attention to the acoustics by adding many greenery in different areas. 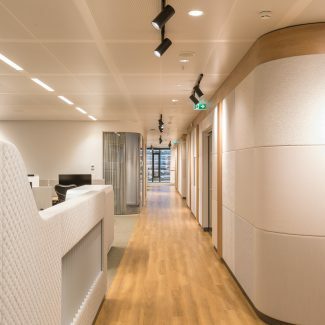 The core of the building is covered with special acoustic fabric. 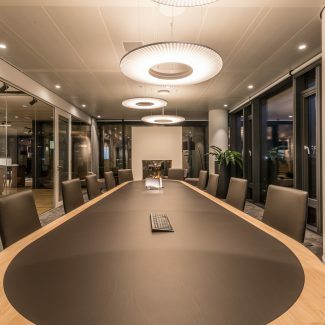 This gives the office the warm and homey atmosphere that JLL and Tétris desired while covering the acoustics as well. 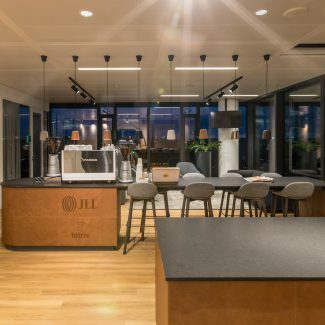 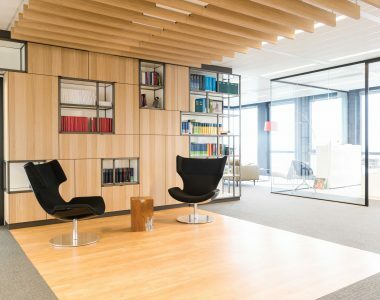 For Tétris and JLL, the new office is the perfect showcase and the satisfied employees prove that the office design and workplace concept work.